They're books about the size of your hand and were popularized as "dwarsligger" in the Netherlands. Hello my book loving friends. This week I discovered something called mini pocket books/flipback books, and they're becoming a thing over here in America. You might already be familiar with the concept, because they're known as "dwarsligger" (flipback) in the Netherlands. Because the New York Times claims they "could reshape the publishing landscape if successful," I wanted to test out the format for myself. I'm going to be honest with you. When the publisher mailed John Green's collection of flipbacks to me, I opened the package and laughed. What the hell was the point? I honestly didn't get it. To give you some perspective of the size, they're about the length of an 8 oz coffee mug. Here's another image comparing the mini pocket book to the size of my hand. And because they're also referred to as pocket books, I wanted to see of these flipbacks could actually fit inside pockets. The experiment went...about as well as you'd expect. Men's pants tend to be deeper, so these books fit those pants just fine. With women's jeans, they definitely didn't slide in all the way. Now for the reading part. One of the first things I noticed was that the paper is super thin. Like, think hotel Bible thin. This was one of the most annoying parts when I began to read — because you can see the text on the next page. But for the sake of this experiment, I read the entirety of the first chapter. Surprisingly, the text is big enough to read. And the see through-ness of the pages aren't AS bad as you continue to read on. 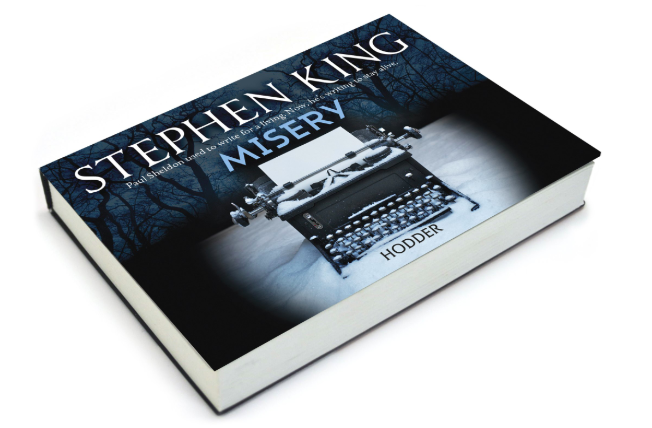 Here's a side by side comparision of the actual novel's text to the flipbook's text. The spacing is a little more cramped, but the size is about the same. But I also wanted to get some opinions from my co-workers who were also casual readers, so I went around and asked them to touch/flip through/read this format and tell me their honest opinions. Pablo: I’m a fan of miniature things and think this is real cute. I wish this was more for novelty and read horizontally like a regular book (even if the words were tiny), but I can’t knock ’em for thinking outside the box. Pedro: I think it's great for people that love having physical copies of books, but also don't want to carry really big ones around. I like it! Asia: I actually kinda like it. It feels easy to read and carry around, and it's much lighter than my Kindle. It kinda reminds me of carrying around a little Bible. I'd totally use this format! Claire: Honestly, I'm down with these booklets. They seem more comfortable for someone who is a side sleeper / reader (me). I'm pleasantly surprised by how large the font is, but the bleed through from the other pages makes it hard to read. If the pages were a smidge thicker (to combat the bleed through) I could definitely see myself buying these! There are a few other (popular) authors and classics that have been turned into these flipback books. 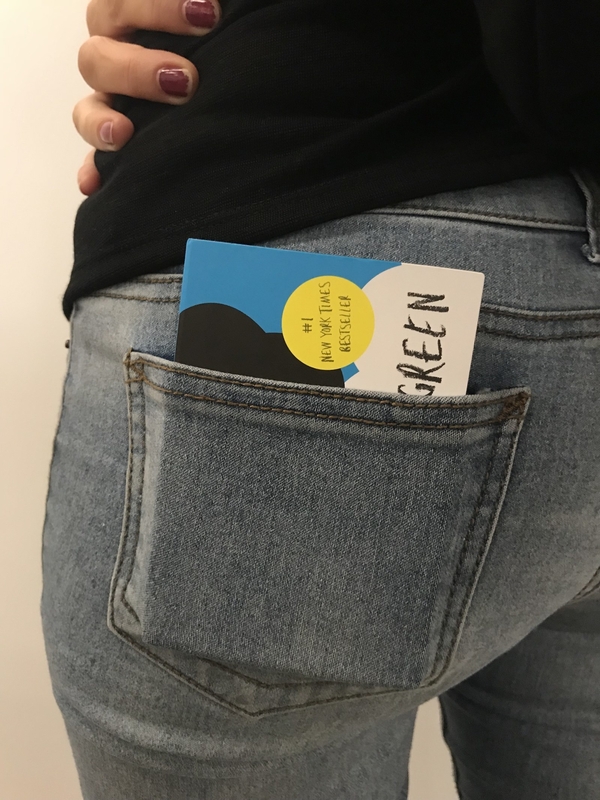 The John Green flipbacks as seen here will cost $12 each, according to the publisher, and will be sold through Barnes & Noble, Amazon, Target, and independent bookstores. OK, tell us! 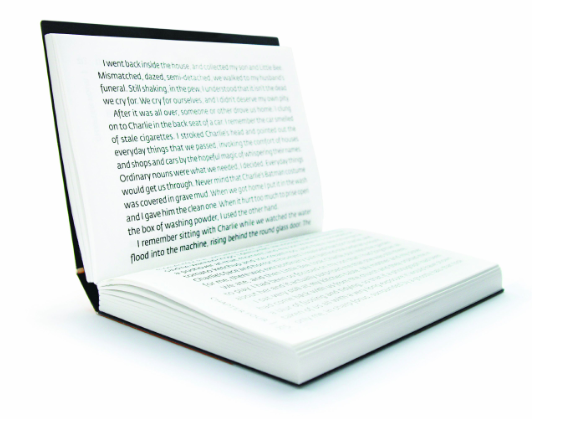 Would you buy and read a flipback book?